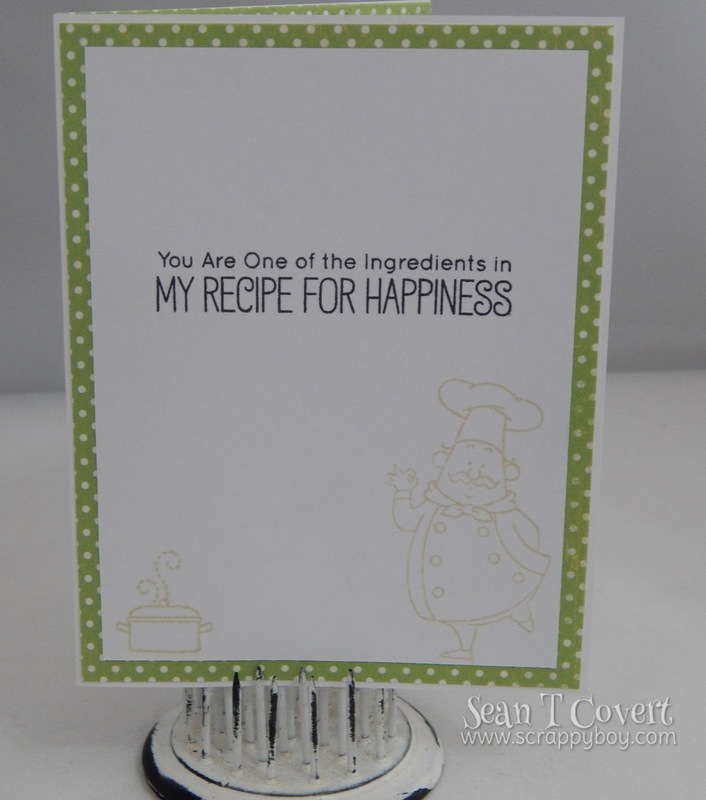 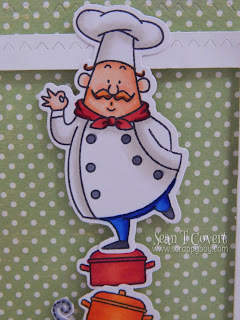 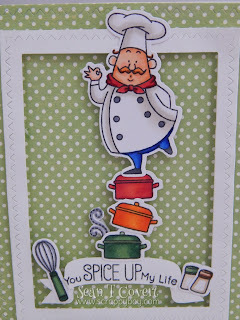 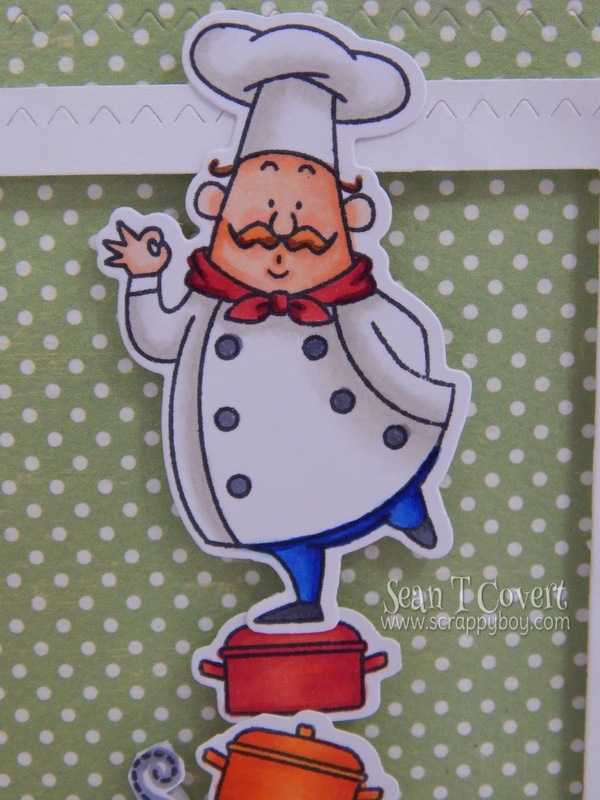 Scrappy Boy: A Cute Chef Card!!! 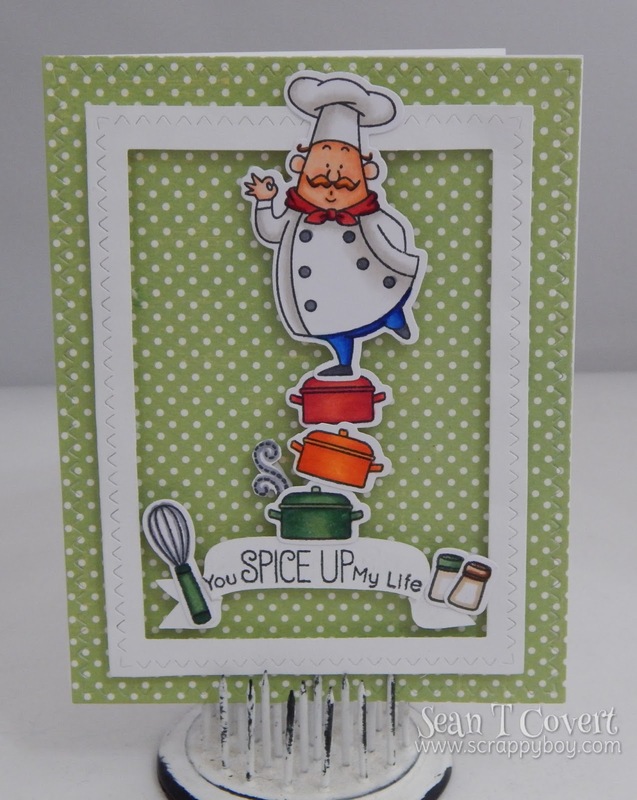 Hello and welcome back fellow crafters! 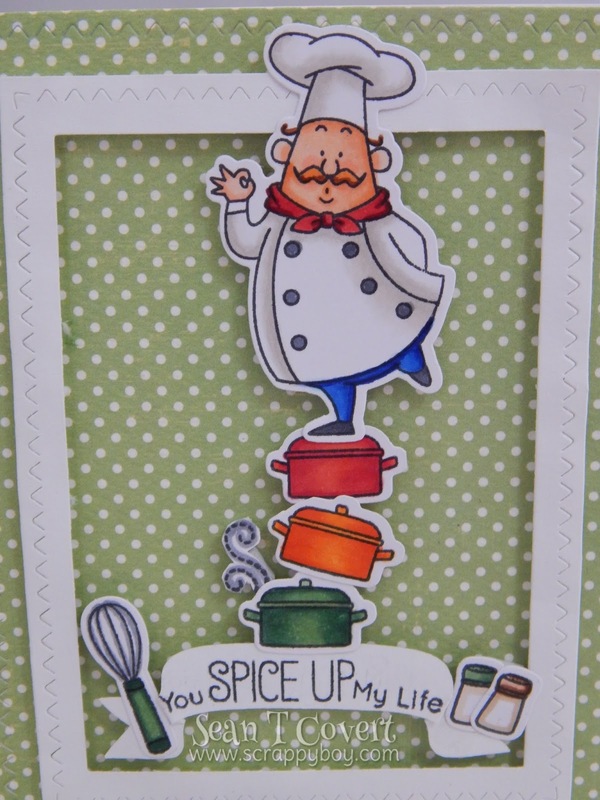 I wanted to share a card that I made for my husband. 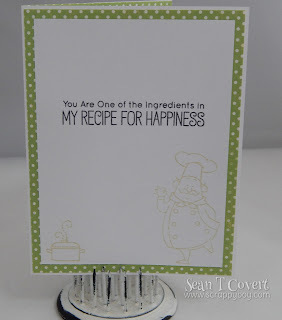 I love this MFT set, it's just too cute!!! 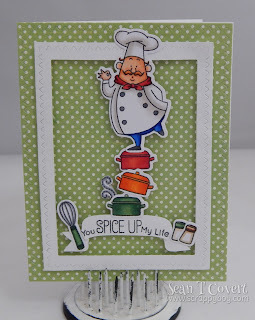 Got the card inspiration from Pinterest!